Whether it’s llamas in flower crowns, sweet baby pandas munching on doughnuts or unicorn besties lazing on magical clouds, absolutely everything about the Kaleidoscope Colouring Too Cute! kit is simply TOO CUTE! 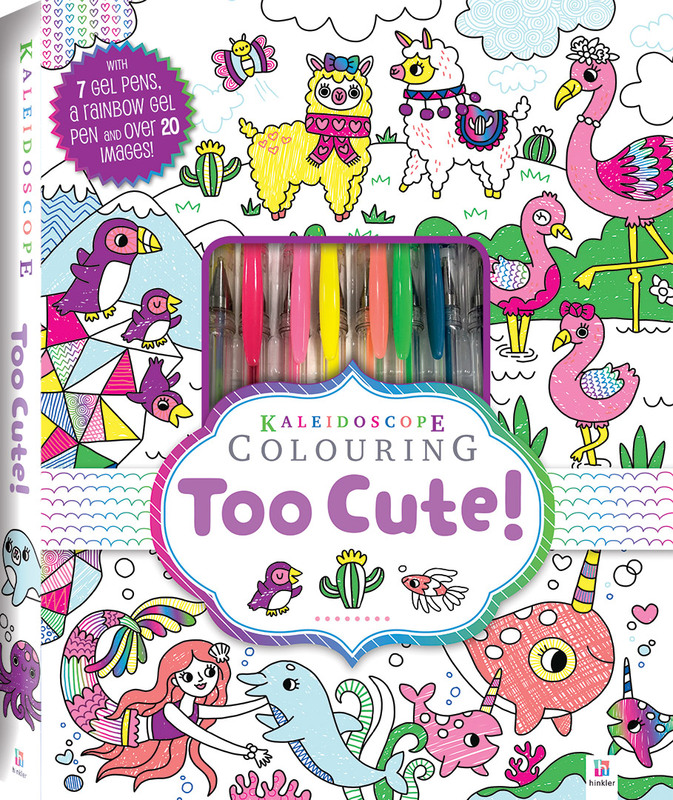 Use the seven magical gel pens and rainbow gel pen included in this kit to colour more than 20 pages of adorable images of sleepy sloths, happy cacti and more! The tear-out pages mean that you can put your creations on display and add cute to everyone’s day!